Millennials often think of themselves as the socially conscious generation. As your organization continues to look for funding opportunities, consider millennials as a viable target market, since they are your future donor base. Achieve, in partnership with the Case Foundation, released valuable insight into how millennials interact with the causes that matter to them. The report comes from five years of responses by more than 75,000 millennials and provides six main insights into the millennial generation’s relationship with charitable giving. The main reason millennials contribute to charity is passion for the cause. When reaching out to millennial audiences consider highlighting how they can get involved in your work and connect that to the direct impact they will be making. Millennials tend to donate in small amounts to multiple organizations. This means numbers matter. When it comes to millennials, try to reach out to as many individuals as possible, instead of hoping to attract large donations from a few donors. Older and millennial women make more financial contributions than younger and male millennials. If what you’re looking for is more focused on donations, older and millenial individuals should be your priority. Peer-to-peer engagement is a huge factor when it comes to charitable giving. For millennials, this means that if their friends, coworkers and networks are involved in a cause, they are more likely to volunteer and donate as well. In order to get more millennials involved in your organization consider establishing relationships or partnerships with their networks (workplaces, universities, etc.). Millennials are more likely to engage with causes if they have an opportunity to use and develop a skill. Consider tapping into this by recruiting millennials with specific skill sets for workshops, volunteer activities, and more. 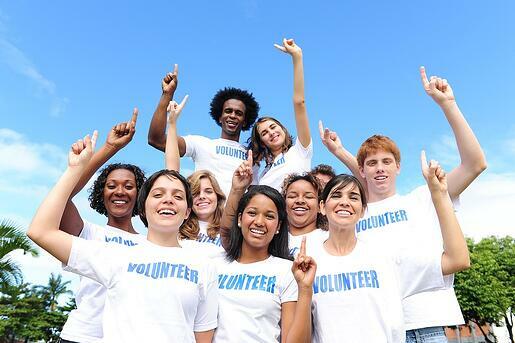 Conversely, think about offering trainings in exchange for volunteer hours or financial donations. Social media plays a big role in millennials’ involvement in charitable causes. The findings show that millennials use different social media channels to learn about causes they care about and to donate as well, with each platform playing a different role. If you want to reach out to millennials and their networks, social media is a great way to do so. Note this will take considerable work and results won’t happen overnight. The Millennial Impact Report showed that millennials are passionate, socially conscious, well-informed and eager to become involved when they care about an issue. As more initiatives like #GivingTuesday continue to gain momentum, it is important for organizations to start looking for alternative funding opportunities. Millennials are your future lifetime donors!